Mailchimp for Shopware adds your customers and their order information to your Mailchimp account. Use Shopware purchase data to send targeted campaigns, generate custom product recommendations, track and measure campaign ROI, and more. In this article, you’ll learn how to connect or disconnect the Shopware Integration. Here are some things to know before you start this process. The Shopware integration works with versions of Shopware 5 or higher. 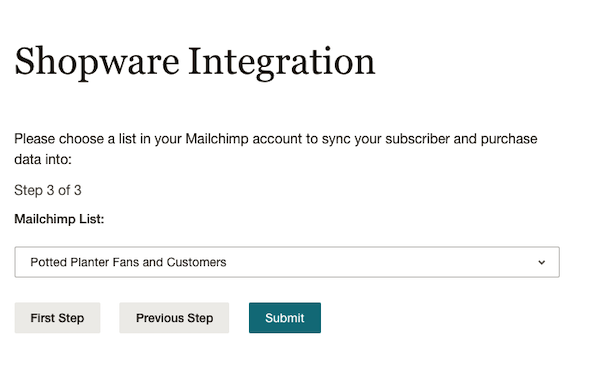 Shopware customers sync to your Mailchimp account as subscribed contacts. To change which list syncs with Shopware, disconnect the integration and configure it to the list you want to sync to. The time it takes to sync will depend on the number of products and orders in your store. 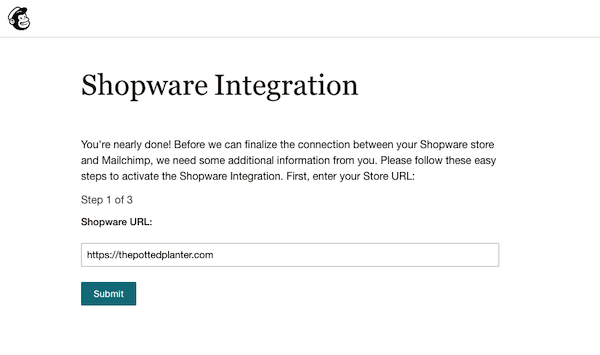 When you connect your Shopware store to Mailchimp, we’ll add each of your Shopware customer email addresses and orders to your Mailchimp account. Product orders will be stored in contact profiles and campaign reports. To connect the Shopware integration, follow these steps. Go to the Mailchimp for Shopware listing and click Connect Your Store. Enter your Mailchimp login credentials and click Log In. After you log in, you'll be directed back to the Shopware integration. Enter your Shopware store URL and click Submit. Enter the Shopware username that you use to generate a Shopware API Key. Enter your Shopware API Key and click Submit. Choose an existing Mailchimp list and click Submit. Nice! Your store will begin to sync to your Mailchimp account. The time it takes to sync will depend on the number of products and orders in your store. 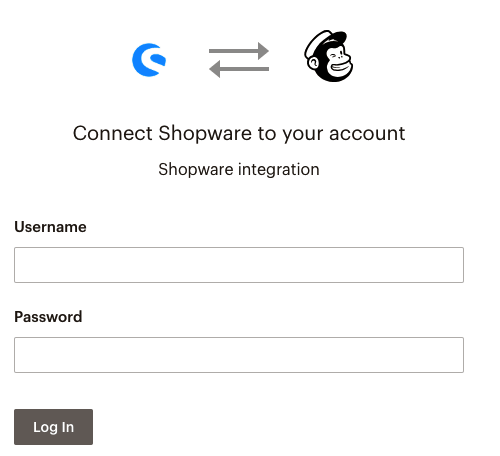 After you connect Mailchimp for Shopware, you can do a lot with the the data you collect, like build segments, send product recommendations, and more. Find out everything Mailchimp has to offer with our guides. To disconnect the integration, you will need to delete the connection in the Shopware app and remove Shopware’s authorization in Mailchimp. To delete the Integration in Shopware, follow these steps. After your store is disconnected, you will need to remove Shopware’s API authorization in Mailchimp. 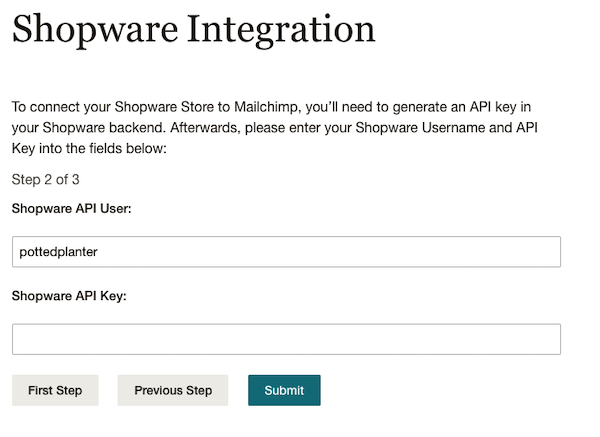 To remove Shopware’s API access, follow these steps in your Mailchimp account. In the Authorized applications section, click the X next to Shopware. That’s it! After you’ve revoked API key access, Shopware will be disconnected.